Heading to the recording studio is suitable in some situations, but when you are performing for an audience, the juices are flowing, the sound is real. Capture it live! Live music, live sound has a unique character that is the combination of a good acoustical environment (the hall) and the mental focus of performers who are cognizant of the "one-time" nature of a live performance. The excitement of performing for an audience cannot be duplicated in the studio; the ambient reflections of a well-designed venue cannot be replicated even by the best electronic sound effects. Nothing beats real. Capture that real sound by having the audio engineer and his mobile recording studio come to you for remote, on-location digital audio recording. 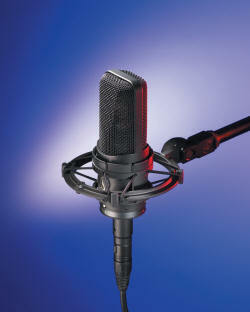 We can record and produce either 5.1 Surround Sound, CD quality Stereo or Stereo mp3. Who uses Mike's Mobile Mics? Our clients make recordings for sale as fund-raisers, as audition demos, as archives or as a service to their constituency. Wherever you are in Hampton Roads, Virginia whether it's Norfolk, Portsmouth, Chesapeake, Suffolk, Virginia Beach, Hampton, Newport News, Smithfield, Isle of Wight county, Williamsburg or James City County and whatever your reason to capture your sound, I will work with you to create what you need. church organists/recitalists - I love pipe organs! small ensembles, string quartets, duos, trios, woodwind quintets, etc. For those who need to produce demonstration recordings or for those small groups that want a live recording without the audience, I have access to venues with good acoustics and pianos. Contact me for details. Contact us today to schedule your recording session. the way it is meant to be heard! Copyright © 2008 - 2018 by Mike's Mobile Mics. All Rights Reserved.